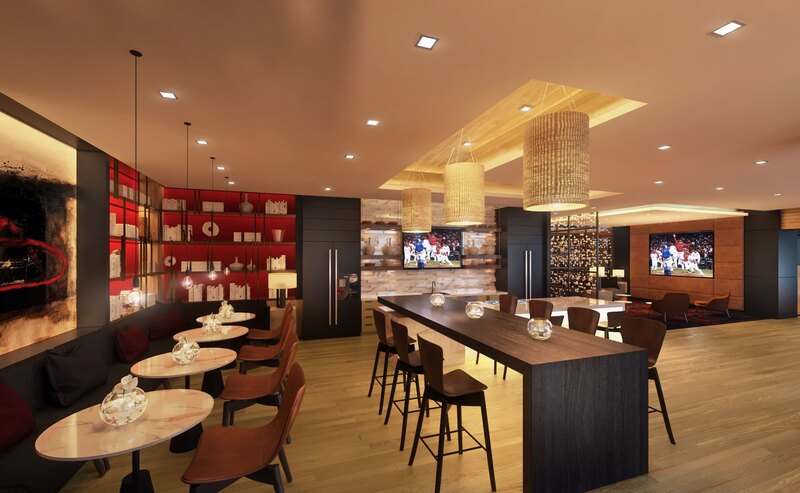 Introducing luxury apartment living like never before at One Cardinal Way. Located in Ballpark Village—St. Louis’ premier neighborhood—your address is an everyday invitation to live like a Cardinal. 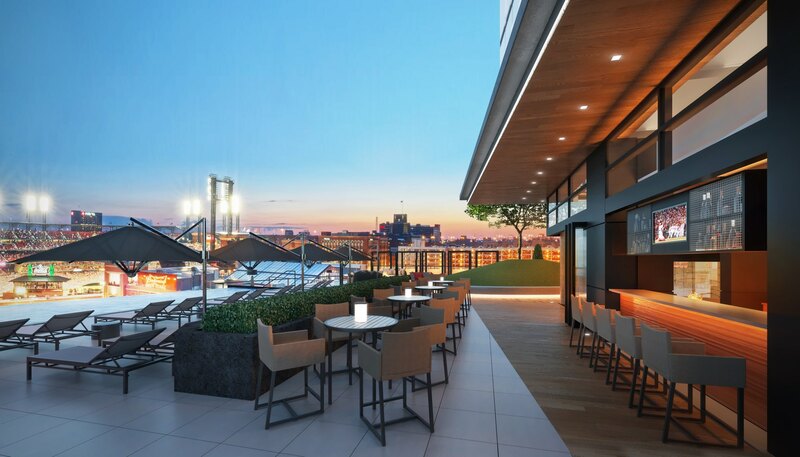 With exceptional amenities, unparalleled quality, and breathtaking views of Busch Stadium, the Gateway Arch, Mississippi River, and the St. Louis skyline, it’s an opportunity you won’t find anywhere else. Your chance to truly be part of the St. Louis Cardinals family is here. 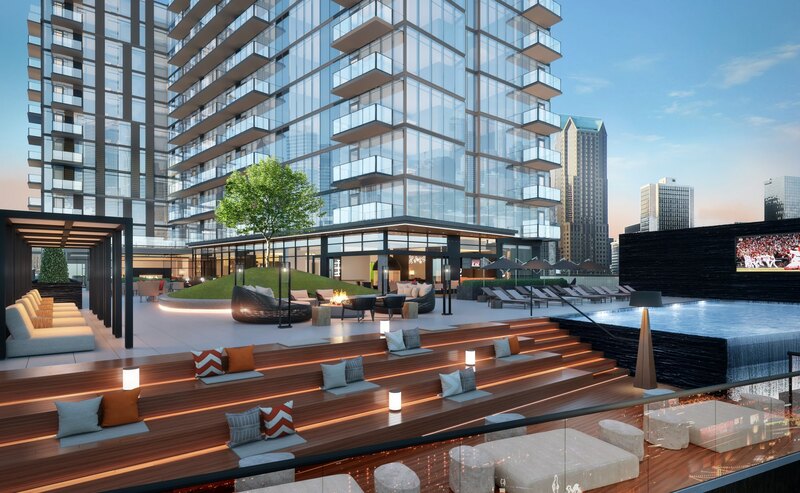 Experience stunning luxury apartment living at the center of St. Louis’ most exciting place to be. Keep an eye on your inbox for updates, details, and more on life at One Cardinal Way. From our carefully crafted apartment homes to our rooftop pool and deck, there’s plenty to love at One Cardinal Way. But you won’t have to take our word for it—view our gallery to see what’s waiting for you. Are you ready for effortless access to endless entertainment? 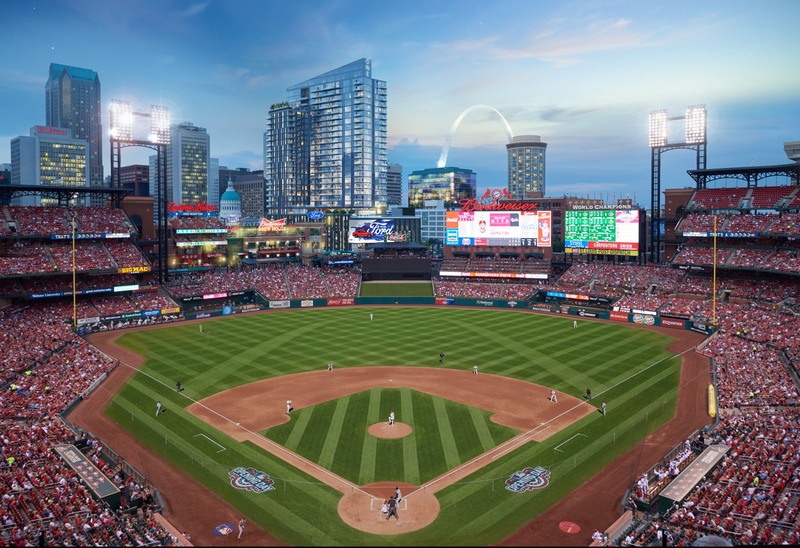 Ballpark Village puts you right where you want to be—where options and opportunity are all around and hometown history is close at hand.